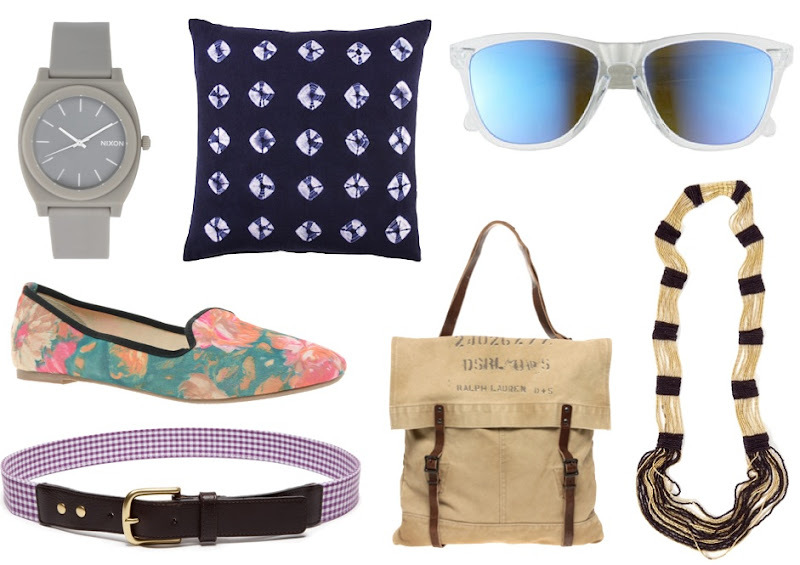 Nixon watch in Matte gray ($108); John Robshaw indigo dye pillow ($150); Oakley Frogskins ($100); Cleo beaded necklace ($30); Canvas tote bag by Denim & Supply by Ralph Lauren ($110); Purple Gingham Belt by Earnest Alexander ($85); ASOS floral print smoking flats ($27). ah, the smoking flats, swoon! I very much like the shoes, spunky! I love the outfit, especially sunglasses and bag! A must-have, this shoe is exactly what I need for summer! I think I've seen that bag somewhere before and completely and utterly love it. And those flats. I've been wanting a new pair and ugh. I think those might be it. Umm those smoking shoes need to be in my closet by next weekend lol.